Let's hope this does not happen, but if it does, contact us ASAP! Before we repair will will inform you on the cost. If agreed, we fix your device fast and professional. We will return the device ASAP after the repair. The repair is backed up with 3 Month Warranty. 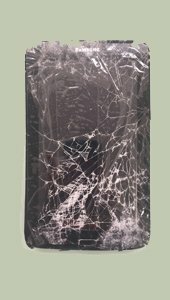 Dr. Smartphone Thailand has a lot of experience recovering liquid damaged devices. We offer a free pickup/return service all over Thailand. 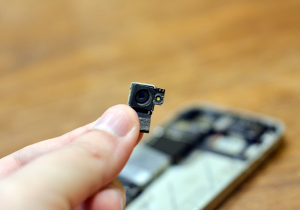 Fixing your old phone saves a lot of electronic waste! Have a question about the use of your device? Fee free to contact us for some tips. 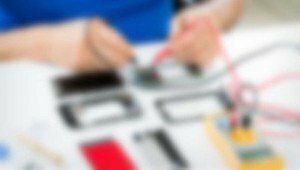 We repair your device fast and professional. Feel free to watch us do our magic. It can be a dramatic moment when your beloved Smartphone or Tablet scatters to pieces on the floor or worse, drops in the toilet. Dr. Smartphone is there to help you out! 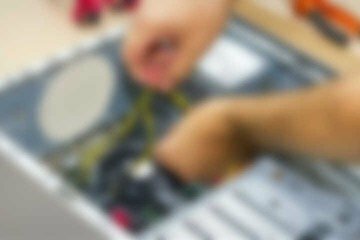 With over 20 years of experience in electronic devices we can fix most of the problems you might encounter, both software and hardware. Beside repairing devices we can also help you unlock your device from a provider or iCloud. All our repairs are backed up with 3 Month Warranty and if you need, a free pickup/return service. 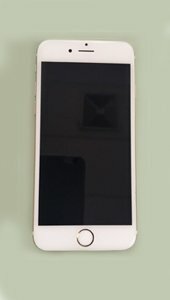 MY IPHONE DOES NOT START OR HANGS UP, HELP! First try to do a soft reset: hold the power button and home button until you see the Apple logo and then release and let the phone restart. If the problem is not solved you might want to try a DFU restore. Note that you will loose your data after a DFU restore! A DFU restore will install a brand new operating system on your device. Start by holding the power button, after 3 seconds keep holding the power button and press the home button as well for another 8 seconds. After 8 seconds release the power button and keep pressing the home button for a few more seconds. If you see the Apple logo, your timing was off and you have to do it again. The display should be all black. Connect the device to iTunes if you haven't don't so yet and iTunes will tell you a DFU devices is connected and needs a restore, follow the instructions and when you are done your device will be fully restored. WHAT IS THE BEST WAY TO CHARGE MY BATTERY? Li-ion batteries are best not fully depleted but charged before they are empty. If after month your device battery meter gets inaccurate you can try a deep cycle. Let the battery run out so that it even can not turn on anymore. Keep it empty for 5 hours and then fully recharge it for 8 hours. The battery meter will be reset and it should work well again. If you still have problems, it might be the power management IC, bring it in for service in that case. Yes sometimes we do, but then again, sometimes we don't. It is important to understand that Apple does not make any parts themselves. The iPhone LCD Displays i.e. can be from Sharp, LG, Foxcon or other suppliers. Apple usually does not rely on one supplier for their parts. So if it is "original" or "OEM" is not all that important. What is important is that you get quality parts. 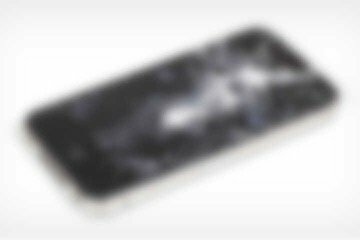 Suppliers like Foxcon assemble the iPhone 6 LCD for Apple and do sell the same displays also as OEM. These are the same as the Apple ones and sold as original. They are not sold by Apple though as Apple does not sell parts into the after market. Be aware of refurbished displays like they sell a lot in MBK. Refurbished displays are made from old displays that had cracked glass before. The cracked glass is removed and a new glass display is added. 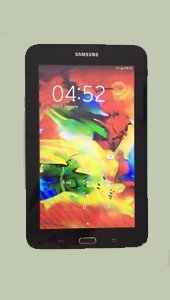 Although this does not have to be bad, often the frames and glass used is of low quality and might result in touch screen stopping from working and frames loosing up within weeks. Make sure you get warranty. When Apple takes defect phones back, these defect phones are sold to companies who take them apart and resell all the parts These are original parts, sometimes brand new, sometimes used. There are also good quality copies available for many parts. What is important is the quality of the parts, not who made them. By repairing with Dr. Smartphone we guarantee the quality of the parts we use and back it up with warranty on all our fixes. DO HONEST REPAIR SHOPS EXIST? Yes, they do exits and we are one of them. At Dr. Smartphone we tell things how they are. You are free to come and look over our shoulder to see what we do and how we do it, we have no secrets and our pricing is fair and market conform. If your display is black and we find out the connector is loose, we will charge you THB 200 for fixing that and not sell you a new display. If you want an original display, and we do not have the stock, we will tell you so and not sell you a high quality copy. This is our promise to you. CAN YOU PICKUP MY PHONE FOR FREE? I LIVE ON PHUKET! Yes, Dr. Smartphone offers a free pickup/return service all over the nation with Kerry Logistics. If you stay near BKK City, we pickup with our motorbike. If you live outside Bangkok we use Kerry Logistics. Do note there is more time involved in this, usually the turn around time is about 5 days in total. 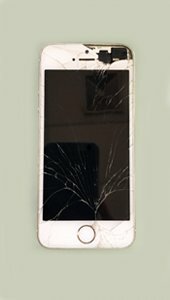 The pickup/return is free of charge if we fix your phone. If we cannot repair your phone or after our quote you decide not to have it repaired, we will charge you the delivery fee only, which is max THB 300 for 2 way. Do make sure you pack the device very well in a strong box with bubble foam. Sometimes we receive phones in envelopes, and this is of course not a good thing! 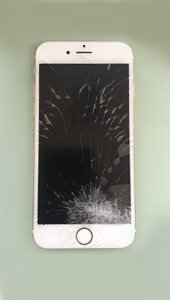 Cracked iPhone 6 display. 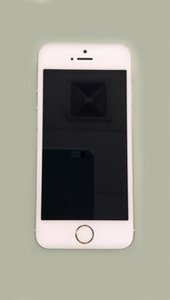 We have replaced the iPhone 6 screen with our A-Grade high quality replacement display. 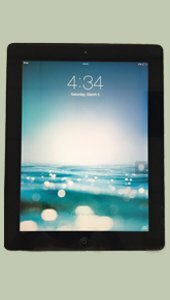 Cracked display, replaced professionally and fast with a high quality A-Grade display with 3 month warranty. 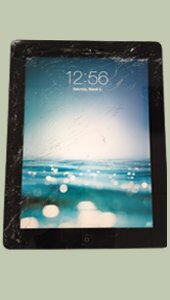 This iPAD 3 dropped and got its digitizer scattered to pieces. We replaced it with a new one. This classic Tab got quite beat up, no worries, our team got it running in no time.